Amidst amazing Arctic wilderness, you can break free of the everyday rush to concentrate on the silence of pure nature. In Sompio, you can experience something truly new and unique: the calling of the living backwoods. In northern Sodankylä, hundreds of kilometers above the Arctic Circle rise the Nattanen Fells. These forested hills form the heart of Sompio, offering silence, solitude, and untouched, unparalleled nature. Explore the ancient holy sites of the Sámi people under the ceaseless Midnight Sun. (Remember to be respectful, as these places still hold significance today.) Along highway E4, in the nook of the Sompio Strict Nature Reserve and Urho Kekkonen National Park, lies Finland’s southernmost Sámi village, Vuotso (Vuohčču in Sámi language). 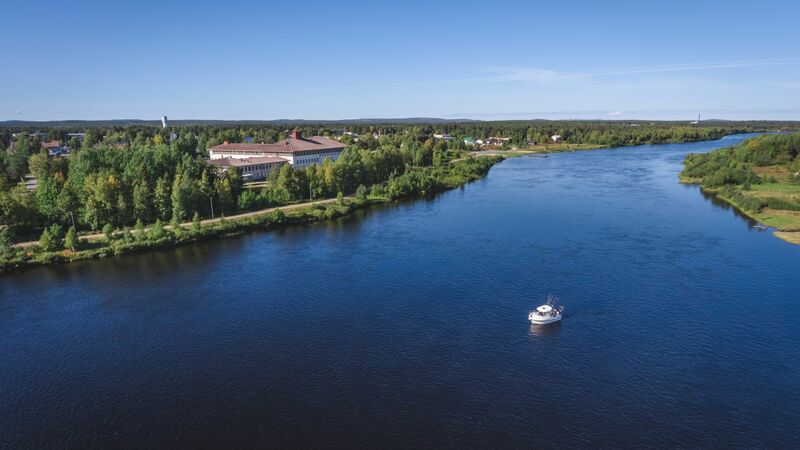 Those with gold fever will love Tankavaara Gold Village & Museum, home to Europe’s last remaining gold panning fields and host of the World Gold Panning Championship. The best part? Finders keepers! 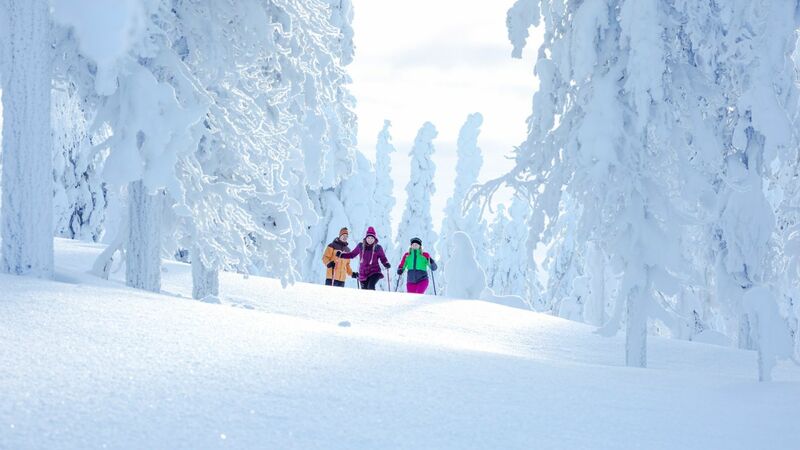 Enjoy Lapland wilderness at its most beautiful in Sompio. Explore the rocky fells and cave systems of Urho Kekkonen National Park by yourself or with a local guide during the long golden summer days. Whichever you choose and no matter where you roam, you are always surrounded by the peace and quiet of Sompio. 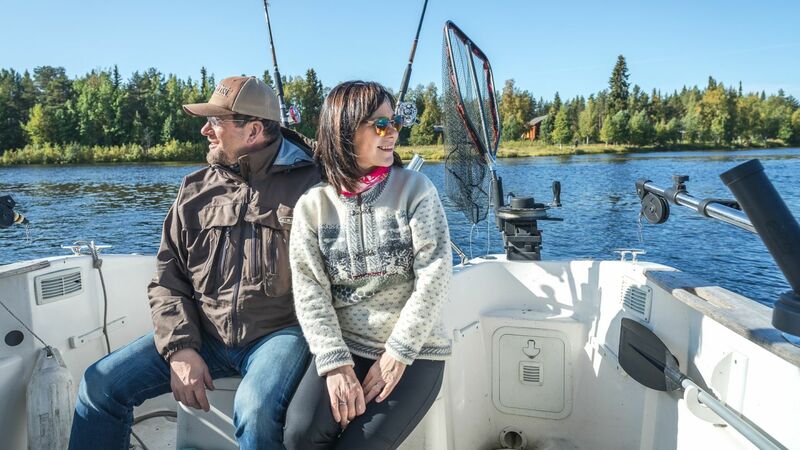 South of Sompio, the town of Sodankylä bustles with lively culture and urban convenience. Don’t be surprised if you hear Swedish, English, Afrikaans or other languages in this little burg. 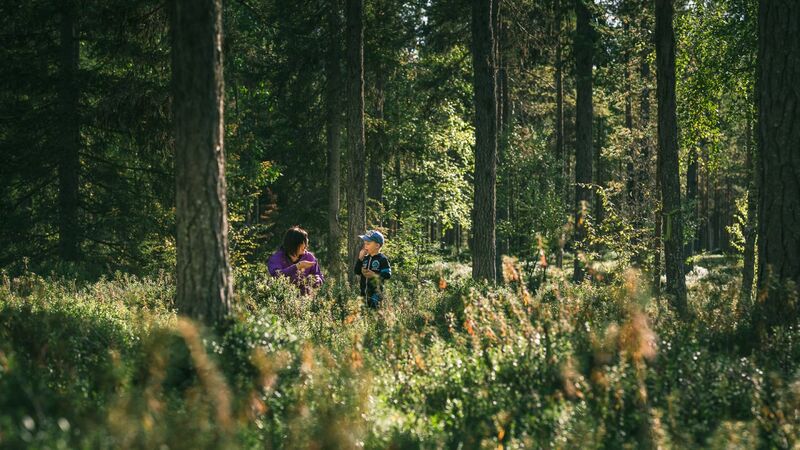 Home to various international companies, Sodankylä offers a mish-mash of cultural, historical and just plain fun activities. Downtown Sodankylä is home to the museum-gallery Alariesto, where you can see the works of Sompio-born naïve artist Andreas Alariesto. A short walk will take you to one of Lapland’s oldest churches from 1689. In summertime, the church is open for visitors daily. Sodankylä is also home to the Midnight Sun Film Festival, now in its fourth decade. Every summer, filmmakers, actors, producers, fans and volunteers erect tents alongside the river and showcase films from all over the world all night long. Choosing accommodation is as easy as deciding how close to the wild you want to be. 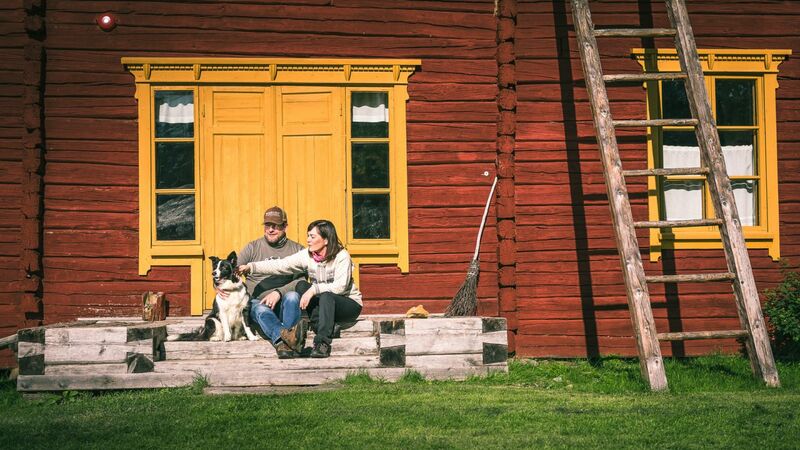 In northern Sodankylä, the Vuotson Maja Bed & Breakfast offers rural comforts in the heart of a Sámi village. If you prefer a less rural locale, both the Hotel Sodankylä and the Bear Inn Hotel are located in downtown Sodankylä. The best way to explore Sodankylä and Sompio is via car or bicycle. And getting to Sodankylä is as easy as the town lies at the nexus of highways E63 to the south and E75 to the north. About 1.5 hours south of Sodankylä is Rovaniemi, the capital of Finnish Lapland. Rovaniemi is home to an international airport, a train station that runs all the way to Helsinki, and a bus depot with many daily routes. Other nearby airports include Kittilä to the west and Ivalo to the north of Sompio. All three airports are less than 2 hours away from downtown Sodankylä. Those looking to explore Sompio by car can take the car train from the south to Rovaniemi or through to Kemijärvi. The car train allows you to bring your car with you. Kemijärvi lies about 1.5 hours to the south, and the drive carries you past another wonderland of nature: the Pyhä-Luosto National Park. The depths of the stony ravines and gorges amid old-growth forest stresses the scale of human life. 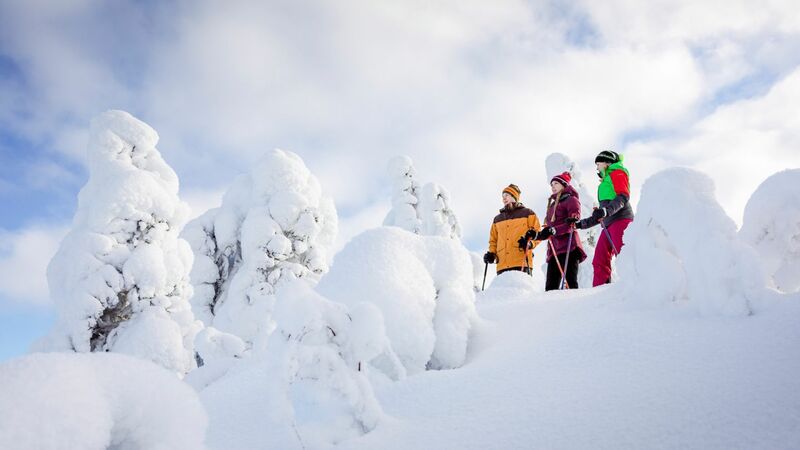 In the winter, the villages of Luosto and Pyhä are thriving ski resorts, with the park between them a winter wonderland. In the summer, the park becomes an endless wilderness to explore and discover, on foot or mountain bike. Buses travel through Sodankylä from all over Finland, with multiple daily connections from both Rovaniemi and Kemijärvi. The Sodankylä bus station is downtown. Need more Sodankylä & Sompio? Visit www.visitsodankyla.fi & www.visitsompio.fi, and follow the stories in Facebook and Instagram.